Poured from a 22 oz bomber into my porter/stout glass. The color is very stout-like; solid black with no light coming through at all. 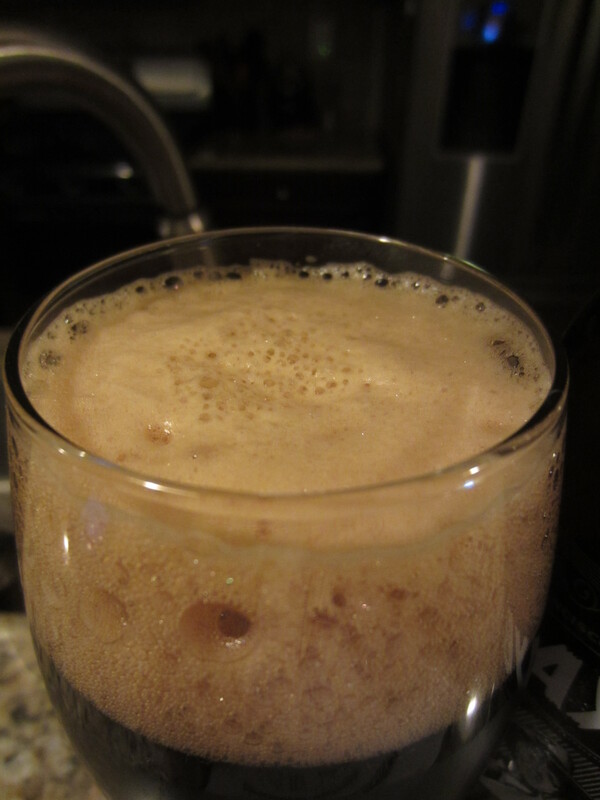 A large, frothy brown head is poured, which has good retention and leaves good lacing throughout. Little carbonation is visible. 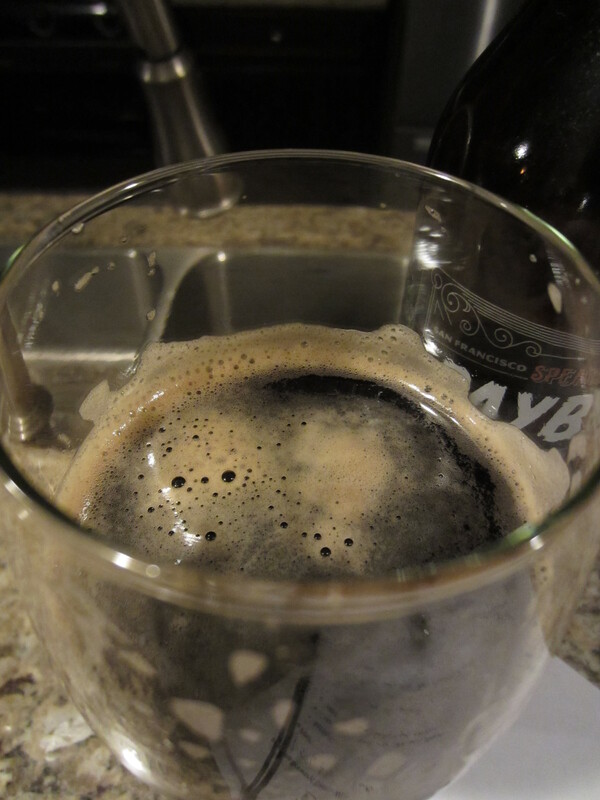 Dark roasted malts and barley upfront, just as expected from a robust porter. Also included in the aroma are hints of bitter dark chocolate, espresso, lactose, dark fruit, and a faint mineral/metallic smell. 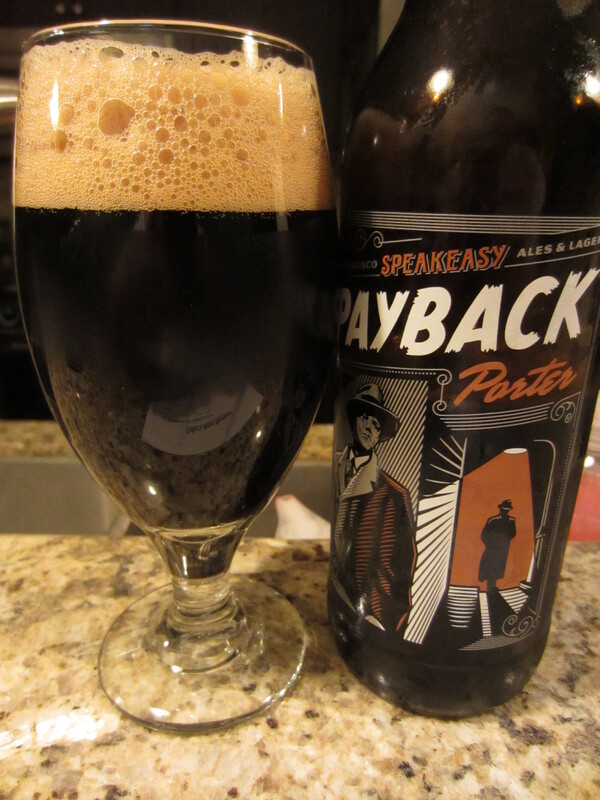 Payback Porter is medium-bodied, offering moderate carbonation harshness in the mouth before finishing with a decent amount of hop bitterness. The roasted barley and dark malts are again the keynotes, but the chocolate and coffee are more pronounced than in the nose. There is also a decent amount of malt sweetness that brings in some dark fruit notes. It finishes somewhat wet initially, before being dried out by the hop bitterness. Lingering roasted barley and malts linger with some lactose on the palate. 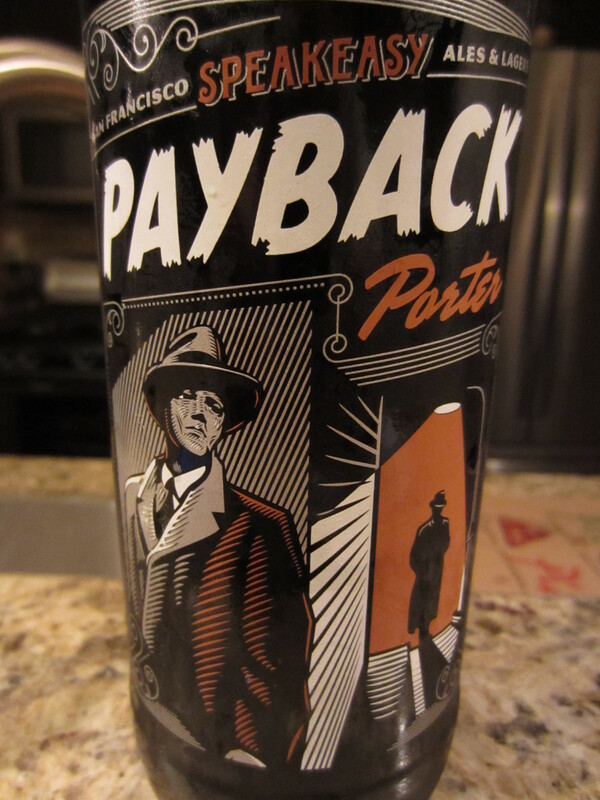 Payback has similar taste characteristics to some smaller imperial stouts I’ve tried, and I’m not entirely sure the exact difference between a robust porter and an American stout. Either way, this one is a good beer to drink. When I first started drinking beer, this was one of the first craft brews that really wowed me. 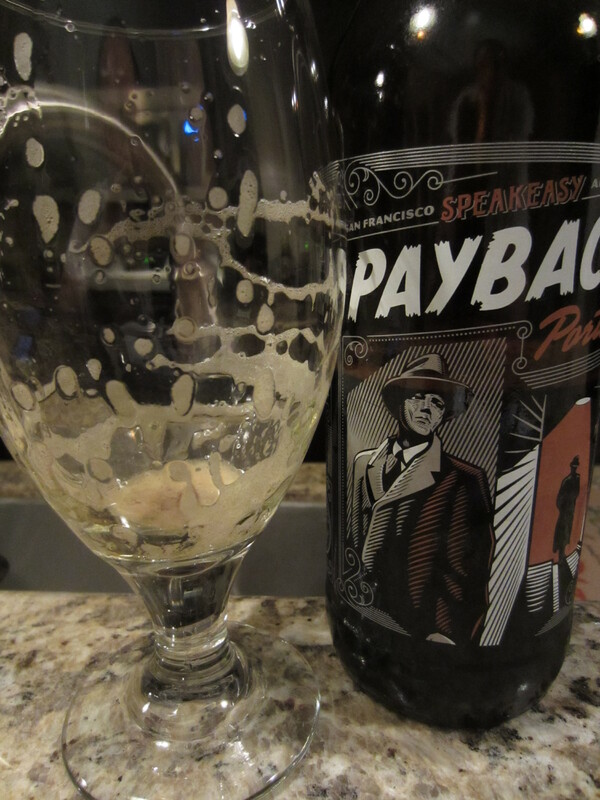 It is still a fine beer, though not as earth-shattering as that first time… 7.5/10.